Lay the twine against the rope and wrap the long end around the rope about 8 turns. Make a bight in the short end. 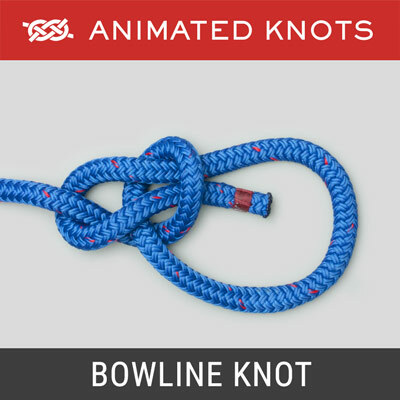 Wrap the long end about 8 more times around both the rope and the bight. On the final turn pass the long end through the bight. Pull the short end to hide and secure the long one. Trim the ends off. Uses: The Common Whipping (ABOK # 3443, p 546) is the classic simple whipping and can be tied with no needle. With a little practice, and the appropriate size of whipping twine, it creates a very neat appearance with no visible ends. Finishing the Whipping: This whipping can be made very close to the end of the rope, which is ideal if the end has already been melted. 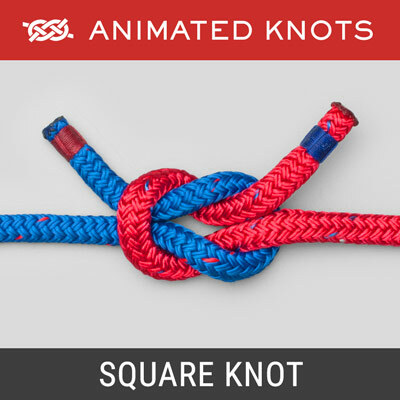 When the end has not been melted - or is a material that cannot be melted by heat, it is better to secure the end temporarily with a constrictor knot or a piece of tape (as shown in the animation). Then trim off the excess when finished. For a rope that can be melted with heat, melt the end for additional security. Techniques: There are several variations of this whipping. When completed they should all look very similar – a neat whipping around the rope with no ends showing. Wrapping a Bight for the Entire Whipping: From the start, the entire whipping can be made round the bight. This variation is the one that Ashley refers to as the "Common Whipping". 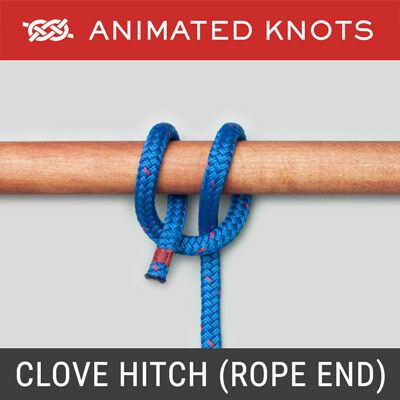 When the final end is inserted into this bight, care must be taken to pull the bight only half way into the whipping. If pulled completely through by mistake, then the original end just unwraps. 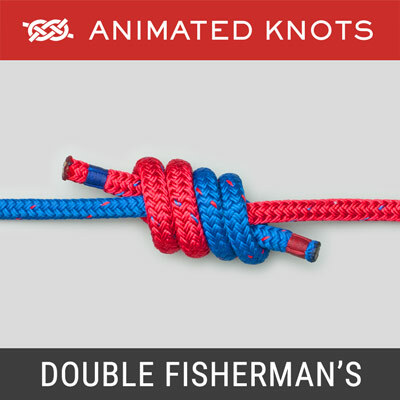 Wrapping a Bight just for the 2nd Half: As shown in the Animation, the second half of the whipping is wrapped around a bight formed using the first end. After the second set of wraps, the long end is inserted into this bight and pulled into the whipping. 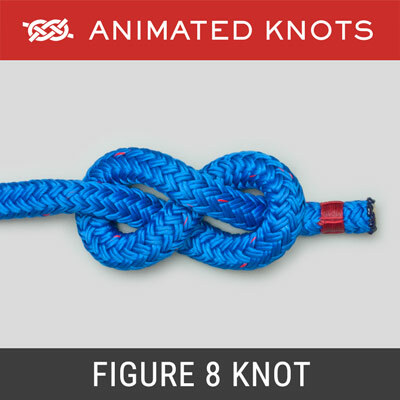 When waxed twine is used and the ends are trimmed, the exit point in the middle is almost invisible and the appearance of a neat stack is retained. 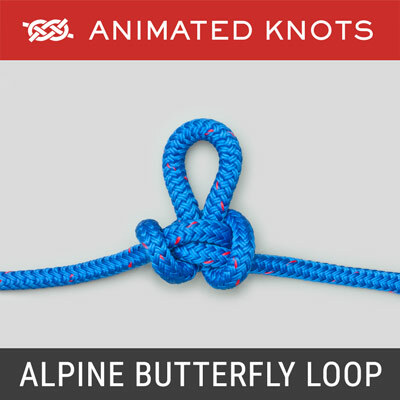 Apply the Final Turns Using a Large Bight: For the second half, some people prefer to wrap the final set of turns using a bight: for the second half, lay the long end against the rope and use the bight to wrap the end and rope together until the bight is too small to make any more wraps. Then pull the long end to tighten the remnant of the bight. Ashley calls this the "Sailor's Whipping". Advantages: This whipping looks very neat, is easy to learn and quick to make. Disadvantages: If one of the turns get snagged or cut, the whipping unravels very rapidly.